The 31st Alaska State Legislature will be the first session for which I am not on the floor and in committee doing the people’s work since I first took office in 2003. Every session starts with a great sense of optimism, as it should. Lawmakers have the opportunity for a fresh start that I hope will allow them to come together and cooperate on our shared priorities as Alaskans. Every Alaskan has a list of priorities. Crime and lawlessness are a major concern; public safety issues must be addressed in a way that is meaningful for all Alaskans. Rural, urban and Bush Alaska all have public safety issues. These issues span the social economic, geographic and political spectrum. That means that the challenges are great and the answer needs to be finessed, not forced. We all want Alaskans to be safe in their homes, businesses and out in public. If the members of the House and Senate always keep that in mind, they can work together on solutions that will make Alaska a safer place to live, do business, and raise a family. The other issue that lawmakers must come together to solve is the fate of the Alaska Permanent Fund and the annual dividends paid out to eligible Alaskans from the earnings of the fund. Continuing PFDs is a priority of Democrats, Republicans, independents and many of those who eschew politics. Protecting the Permanent Fund and future PFDs is a shared priority that nearly all Alaskans support and all lawmakers can rally around. I urge all Alaskans to watch the fiscal briefings that will be aired on Gavel Alaska to understand the magnitude of the issue. The fund doesn’t belong to any one of us; we own it in common. Another issue where I see the possibility of consensus is the ongoing recession, which is about to stretch into its fourth year. By working together to solve our fiscal challenges, lawmakers can provide the confidence and economic boost needed to push our economy out of recession and into a period of sustained economic growth. None of this will be easy, and none of it will be done without hard work. In the coming days, weeks and months, the people of Alaska will be watching the work of our elected representatives in Juneau. Rest assured that they will hold accountable those who refuse to work cooperatively on important issues. I see tremendous promise in the lawmakers the people of Alaska elected to the House of Representatives. This diverse group of lawmakers has the knowledge, work ethic, and the will to find solutions. The only thing preventing success is partisan politics and petty differences. The challenge I hope every member of the Alaska House of Representatives and the Alaska State Senate embraces is to ignore the things that divide us and instead focus on the things that bring us together. Politics is too often judged by who wins and who loses. I believe the people of Alaska will be the losers if the members of the House can’t come together to work cooperatively on their behalf. Winning requires the members of the Alaska Legislature to put aside party politics and work together as Alaskans on the things that we all agree are important. 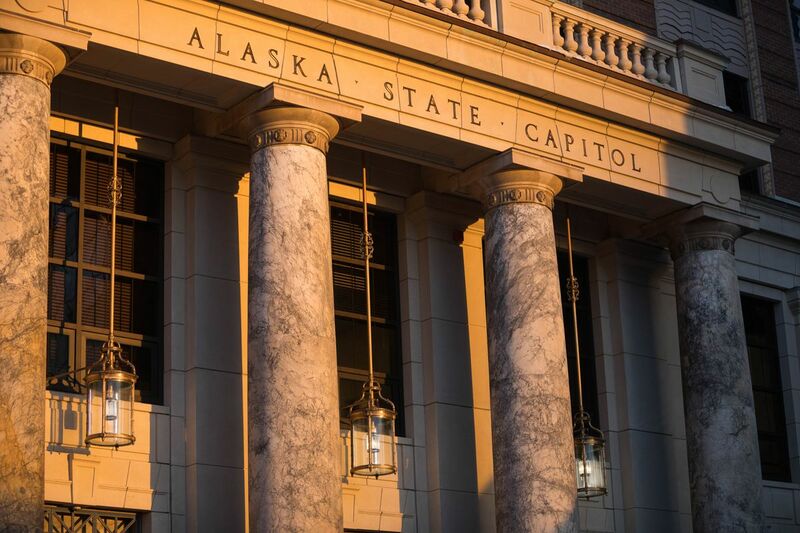 During my time in the Alaska Legislature, I found that the legislative process works best when lawmakers have the freedom to make decisions for the greater good. The start of a new Legislature gives lawmakers the freedom to do things differently and reject the partisan politics that has led to legislative inaction, and in some cases dysfunction. It is my sincere hope that a bipartisan coalition can be created in the state House that includes all the Democrats, the lone independent lawmaker, and all the Republicans who are more interested in doing what’s best for the people of Alaska than they are in toeing the party line and doing what they are told. I know from firsthand experience how easy it is to be partisan and say no to every idea and proposal that requires compromise. I also know that it is much harder to put aside partisanship and cooperate, but that’s exactly what the people of Alaska want from those they elected to take the tough votes and make the difficult decisions. David Guttenberg served in the Alaska House of Representatives from 2003-2019. He lives in Fairbanks. Democratic Rep. David Guttenberg represents Fairbanks in the Alaska House of Representatives.